Dr. Sangsoo Lee joined ISDP in 2007. 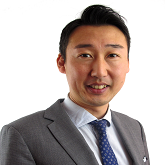 He is Senior Research Fellow, and Head of the Stockholm Korea Center. His areas of interest are Security and Conflict issues in Northeast Asia with a focus on the North Korean nuclear crisis and inter-Korean relations. He is originally from South Korea, but studied in China and has lived in Europe for a long time. Dr. Lee holds a Ph.D. in Northeast Asian Studies from Peking University and has been a Visiting Researcher at the United Nation University (UNU-CRIS) (2007), and at the London School of Economics (LSE) (2011). He speaks Korean, Chinese, Japanese, and English. How to tackle resolving the North Korean nuclear issue in a situation where all previous efforts have failed? Sangsoo Lee in Izvestia on denuclearization talks between the U.S and D.P.R.K. 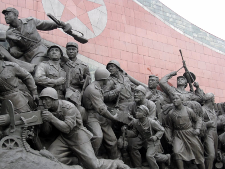 New Dawn or False Hope on the Korean Peninsula?